Anna Maria Guasch (1953, Barcelona) is Professor of the Department of Contemporary Art History at the University of Barcelona. She has also been a teacher at the Universities of Seville and Complutense Madrid. In the last fifteen years, Guasch has focused on the study of international art from the second half of the 20th Century and wrote The Art of the 20th Century: from the Second World War to Our Times (Espasa Calpe, Madrid, 1996), and has analyzed the expositions it has generated. This line of investigation has lead to publications The Art of the 20th Century and Its Exhibitions: 1945-1995 (Serbal Editions, Barcelona, 1997; expanded second edition, 2009), awarded with the Premi Espais to the Art Criticism (1998); and The Manifestos of Postmodern Art: Texts of Expositions 1980-1995 (Akal/Arte Contemporáneo, Madrid, 2000) with contributions by C. Joachimides, D. Kuspit, A. Bonito Oliva, K. Power, D. Crimp, H. Foster, T. Crow, H. Szeemann, C. David, J.H. Martin y T. McEvilley, among others. Recent investigations analyze the intersection of the artistic scenes of the 20th and 21st centuries, a theme elaborated in the book The Last Art of the 20th Century: From Postminimalism to Multiculturalism: 1968-1995 (Alianza Forma, Madrid, 2000), while in terms of the theory of criticism, her notable works include Art Criticism: Theory and Praxis ( Barcelona, Serbal, 2003), Criticism in Dialogue: Interviews About Art and Contemporary Thinking (Murcia, Cendeac, 2006 and 2008), Discrepant Dialogues in Art Criticism (2000-2011) and Formal, Textual and (Con) textual Art Criticism (in press). Guasch has co-edited Learning from the Bilbao Guggenheim (University of Nevada, Reno, 2007) and Aprendiendo del Guggenheim Bilbao (Akal/Arte Contemporáneo, Madrid, 2007) written with Joseba Zulaika. Currently, Guasch focuses her investigations on three areas: Archiving – Memory and Contemporary Art, Art History and Visual Studies, and Contemporary Art and Globalization. The first of these foci was developed and exhibited in “The Places of Memory: The Art of Archiving and Remembering,” (Materia. Magazine of the Art History Department of the University of Barcelona, May, 2005). Visual Autobiographies: Between the Archive and the Index (Siruela, Madrid, 2009), and Art and Archive: Genealogies, Typologies, and Discontinuities (Madrid, Akal/Arte Contemporáneo, 2011), and in presentations at conferences of related sciences such as the 20th ANPAP Meeting (Rio de Janeiro, 2011) in which she presented Contemporary Archival Practices: Between the Domestic and the Public, Memory and History, Global and Local. 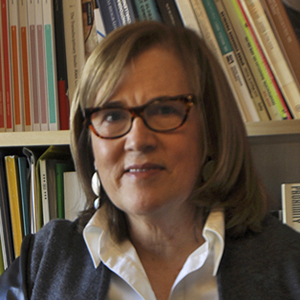 Guasch’s academic footprint in the Department of Art History at the University of Barcelona includes directing fifteen (15) doctorate theses while fulfilling her duties as a researcher and mentoring bachelors and masters degree candidates. She also guides students externally as a tutor of doctorate theses in universities across Mexico, Colombia, and Chile. Since 2007 she has been the Project Director of Critical Cartography of Art and Visuality in the Global Age: New Methodologies, Concepts, and Analytic Scopes in which members from Spanish and International universities participate. (www.culturasvisualesglobales.net). Guasch directs and coordinates Global Art Archive, a research group that studies archives and their role as a liaison between collective memory and individual development (www.globalartarchive.com). In addition, she is part of the London-based international study Visual Culture Studies in Europe, the Humanities in the European Research Area (HERA), and Zahia Rhamani’s Art et mondialisation (Art and Globalization) research group in Paris (INHA). Along with Marquard Smith and Joaquín Barriendos, she organized the international congress Visualizing Europe – The Geopolitical and Intercultural Boundaries of Visual Culture (University of Barcelona, 2011) and has participated in Third International Workshop on Art Criticism (Madrid-Ciudad Real 2011). Donald B. Kuspit, Signs of Psyche in Modern and Postmodern Art; Rosalind Krauss, Passages in Modern Sculpture; Thomas E. Crow, Modern Art in the Common Culture; Brian Wallis (ed. ), Art After Modernism: Rethinking Representation; Robert C. Morgan, Art Into Ideas: Essays on Conceptual Art; Lucy Lippard, Six Years: The Dematerialization of the Art Object; Hal Foster, The Return of the Real: The Avante-Garde at the End of the Century; Donald Kuspit, The End of Art; Arthur Danto, Beyond the Brillo Box: The Visual Arts in Post-Historical Perspective; Benjamin B. Buchloh, Formalism and Historicity: Models and Methods in Twentieth Century Art; Douglas Crimp, Critical Positions: Essays on the Politics of Art and Identity; Hal Foster, Prosthetic Gods; Thomas McEvilley, On the Rupture of the “Cul de Sac”. Art in the Second Half of the Twentieth Century; Beatriz Colomina, Double Exposure: Architecture through Art; Sèrge Guilbaut, Mirror Images on the Brink of the 21st Century. Some of Akal/Arte Contemporáneo’s noteworthy publications include: Juan Vicente Aliaga, Phallic Order – Androcentrism and Gender Violence in Art Practices of the 20th Century; Pilar Parcerisas, Poetic, Political, and Peripheral Conceptualism(s); Javier Maderuelo, The Concept of Space in Contemporary Architecture and Art, 1960-1989; Juan Antonio Ramírez, The Object and The Aura – The (Dis)order of Modern art; José Miguel G. Cortés, The Captive City – Control and Patrol in the Urban Space; Juan Martín Prada, Artistic Practices and Internet in the Era of Social Networks (in press).